What good is a website when you don’t have the faintest idea who’s visiting it, where they come from, where they go, and what they want? And how can you find out all that whilst respecting your users' privacy and still complying with myriad, pesky national privacy laws and regulations? My answer is simple: go open source! Go Piwik! Piwik is a great, open source web statistics application, similar to Google Analytics, that integrates very well with numerous platforms including Drupal. 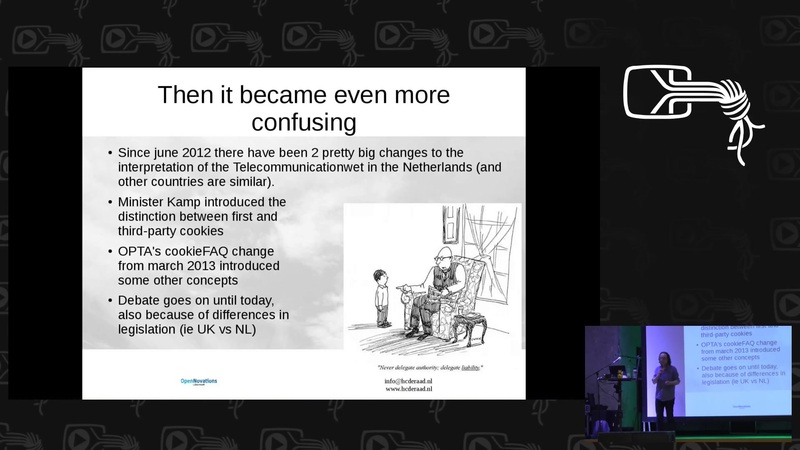 This has been a hot topic for a few years and the talk has gone through a couple of iterations for some major conferences (like DrupalCon 2013 in Prague and openSUSE Conference 2012 in Thessaloniki and Observe Hack Make in 2013). It is frequently updated to reflect the current legal and regulatory situation, which is still changing and developing (almost daily, it seems). The current state-of-play regarding privacy laws, especially in Europe. How well Drupal and Piwik compliment each other. How to deliver “fair-play” personalization.